Industry reports and Analyst feeds have been estimating and validating the ongoing growth figures in the digital commerce space. 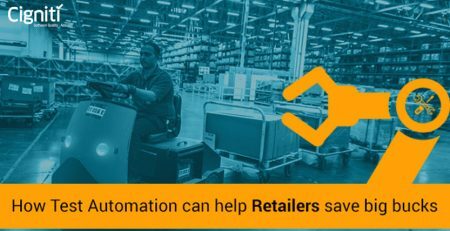 A report by Coresight Research states how growth in digital commerce has consequently resulted in the downfall of brick-and-mortar stores and large scale set ups due to the growing popularity of Digital shopping interfaces. Digital Commerce or D-Commerce is a medium that enterprises leverage for diverse online transactions, which is also referred as e-commerce. A lot of factors influence the growth and setbacks in the d-commerce industry, yet, the most important element to consider is technology and the assurance that the technology platform works for you. In this entire equation, how critical is Digital Assurance and Testing for Digital Commerce. The process of bringing in technology for business transactions and enhancing consumer experiences has never been easy. The ecommerce sector has been dealing with some constantly mushrooming challenges over the years. Some of these challenges are intrinsic to the sector and some are caused due to sheer technology adoption. The segment being highly competitive, there is a constant need for enterprises to plan their updates, resulting in performance and security hassles. The IT teams have to deal with frequent updates and changes in the overall aesthetics of the application. Additionally, ecommerce applications get complex when multiple interfaces are created to third party module that facilitate payments/payment gateways and even bring in other value-adds. With the spread of various devices and smart machines in the consumer scenario, applications are expected to deliver an Omni-channel experience. Hence, the graphics and User Interface (UI) that is developed for one device has to deliver similar experience across any other device. This causes challenges for IT teams, who need to check for downtime and performance glitches constantly. Cybersecurity scares are definitely impacting the e-commerce industry’s well-being and health. Security continues to be a growing concern when the entire business ecosystem depends on electronic transaction of money. Substantial amount of vigilance is needed to scrupulously secure the online transaction channels and integrate them within the application. With e-commerce application gaining grounds, it becomes indispensable for development and testing teams to stay vigilant and keep monitoring frequently visited areas and functionalities within the application. These commonly visited zones could be the home page, search window, product detail page, shopping cart, payment options, recommended products, and the product catalogue. 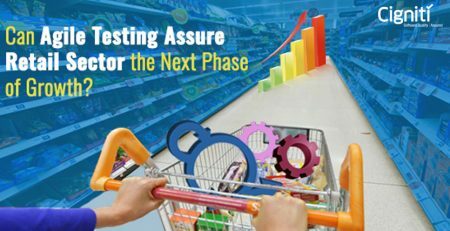 Digital Assurance and testing for the ecommerce sector is a strategic decision that cannot be skipped or ignored. The testing cycle for an ecommerce application can be vicious as well as inventive, as nothing can be a definitive moment when application development is concerned. How can Digital Assurance get you closer to your D-Commerce goals? Convergence of devices and platforms is an ongoing process and a constant market transformation journey. It is remotely impossible to achieve this without leveraging Digital Assurance and Testing platforms and devising a relevant strategy for achieving the expected outcomes. Compatibility and Performance of applications cannot be achieved without rigorous testing and automation. Automation of tests gives you the assurance that the previously developed functions and features work smoothly and enables developers to focus their energies on new features and designs. Various automation tools and platforms (including open source tools) are being leveraged to achieve the estimated results. 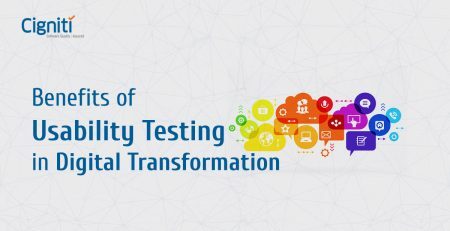 Test Automation enables testing and development teams to get their applications much closer to the digital objectives and ensure enhanced customer experience. New-age applications need fresh features that can ensure engaging experiences. Innovative and more experiential technologies such as Social, Mobile, Analytics, Cloud, IoT, and Artificial Intelligence must be integrated to keep the customers closer, empower employees, and transform the overall consumer ecosystem. In order to ensure that these technologies are well-integrated and they deliver the expected results and customer value, it is important to ensure seamless integration of technologies within the application. Something that cannot be missed in this digital hemisphere is seamless experience. No organization can achieve its digital aspirations without ensuring flawless experience across devices, configurations, operating systems, or even undesirable network conditions. This can be achieved by conducting a series of regression tests that help in ensuring that nothing was disturbed while new changes took place. To address the above challenges and deliver a value-added service, Cigniti has developed an eCommerce Center of Excellence. The eCommerce CoE leverages proven methodologies, techniques, processes, guidelines, and a tool and technology agnostic framework to ensure effective and efficient testing and validation of eCommerce platforms along with its interfaces. Cigniti’s tool and technology agnostic framework ensures that our philosophy of “Script Once” and “Executes Everywhere” is implemented on a plethora of devices, browsers, O/S platforms, POS, and Payment Systems. Connect with us for some more interesting insights on the topic and area.